Let’s face it. It rains a great deal in Paris. So what to do? Where to go? Fret not because I have a plan for you. Today, let’s huddle at the Musée Halle Saint Pierre. Rain or shine, it’s one of my favorite museums in the world. Interested? Grab your hat and parapluie, too. Because, baby, it is cold outside! Located smack dab in the heart of Montmartre, Halle Saint Pierre is very similar in spirit to Switzerland’s Collection de l’Art Brut, Chicago’s Intuit Center, and Baltimore’s American Visionary Art Museum. This international jewel features both contemporary and historic works by self-taught, visionary and outsider artists. 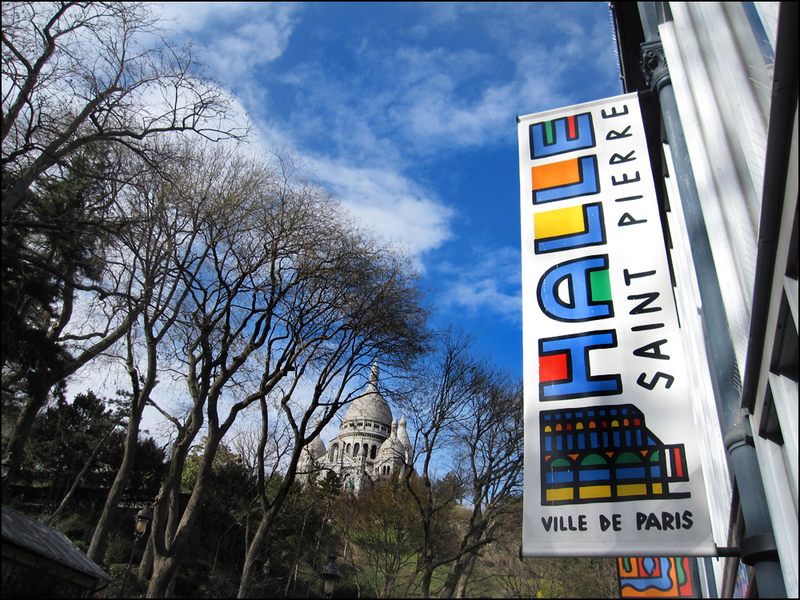 Housed in a former 19th-century food market, Halle Saint Pierre is a busy cultural hub, boasting one of the best art bookshops in Paris, along with a cozy café with a striking view of Sacré Coeur. It’s the perfect place to take a break after seeing one of the museum’s thought-provoking exhibitions. Art also lines the walls in the café! So sample the house red and the homemade quiche, and gaze up to your heart’s desire! No one’s gonna kick you out. It’s Paris, after all. Also, stop by the funky bookshop! Here you’ll find art, posters and note cards, along with books and magazines. Looking for specific title? 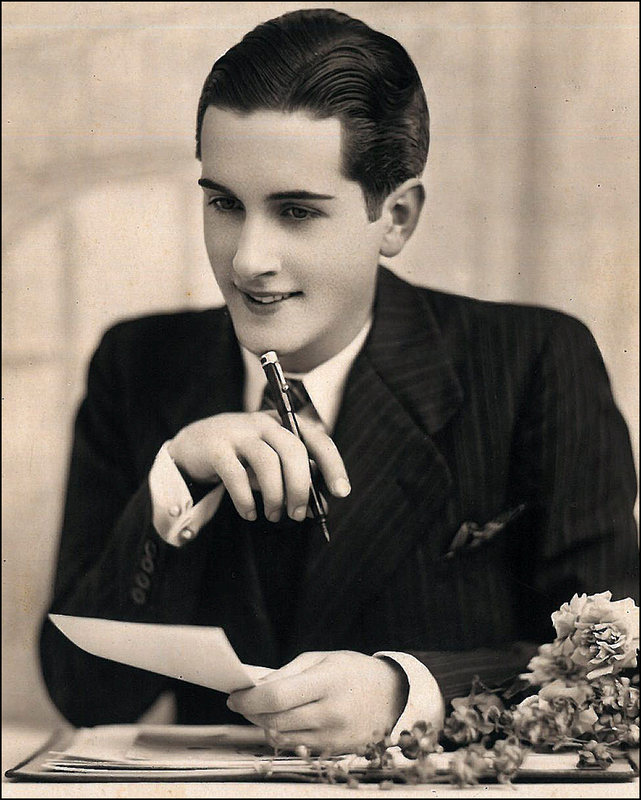 Ask buyer and manager Laurence Maidenbaum. Helpful and friendly, she’s worked at the museum for decades. She knows! 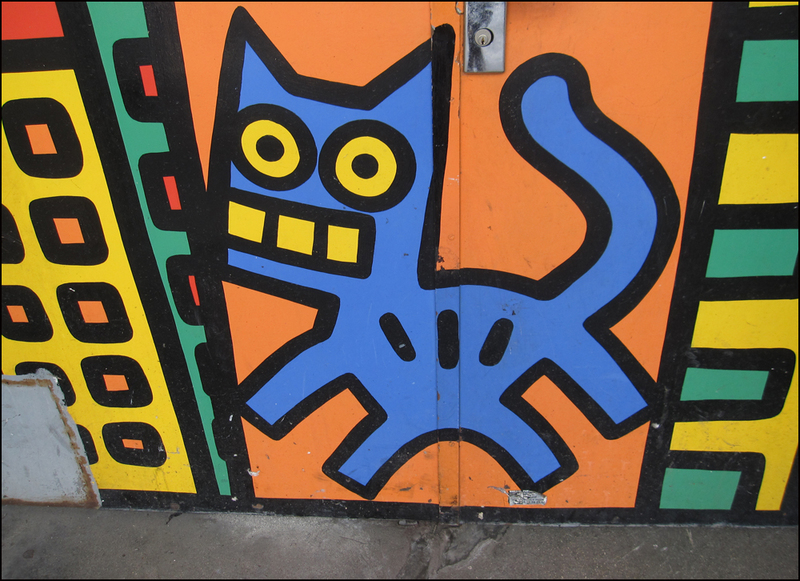 Love that kitty mural! Do you know if it’s available as a poster? Would love to hang that in my home! Halle Saint Pierre is one of my favorite places to meet people in Paris too! It’s small enough that you can find each other easily, while there always plenty to see (and read) in its bookstore. How cool that you mentioned it too! Each time I visit your blog I like more and more your posts, good job friend! 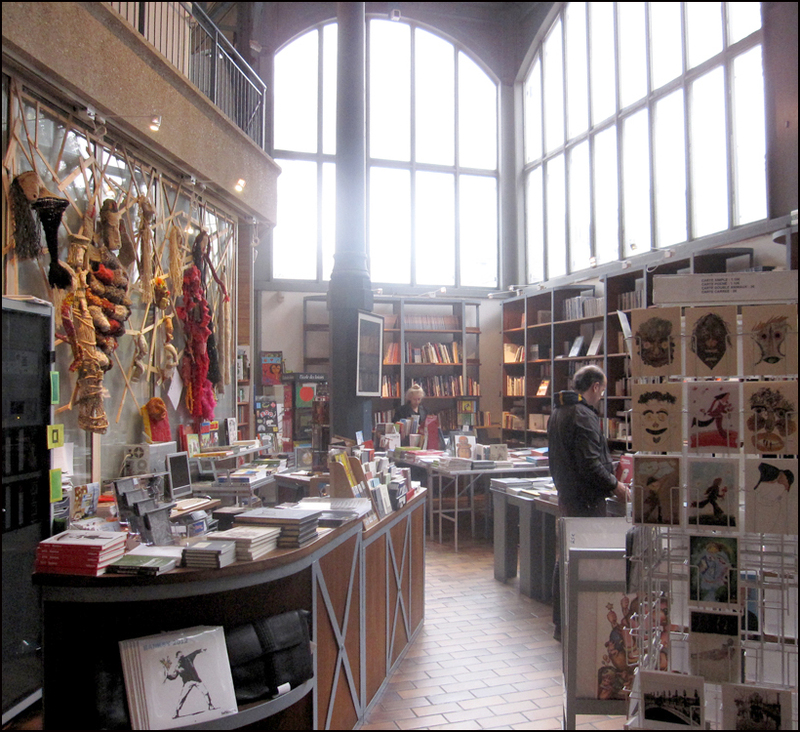 Staring dreamily at the Halle Saint Pierre bookshop photo. Where I’m from the bookshops aren’t that gorgeous!